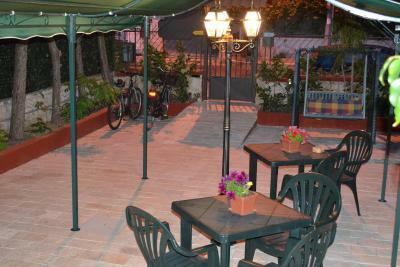 Lock in a great price for B&B Taras Di San Vito – rated 9.7 by recent guests! Accoglienza fantastica e familiare, struttura molto pulita, location ottima per chi ama la tranquillità. Ci ritorneremo sicuramente. Signora accogliente e cordiale, camera bellissima e pulita. Ci ritorneremo sicuramente. Tutto! Daniela è una persona eccezionale! Non potresti scegliere di meglio a taranto! Ormai sono una cliente abituale! Curato nei minimi dettagli,il materasso super comodo. Posizione strategica, facile da raggiungere le più belle strutture balneare del territorio. Terrazzina abbastanza comoda da passare un momento di relax. 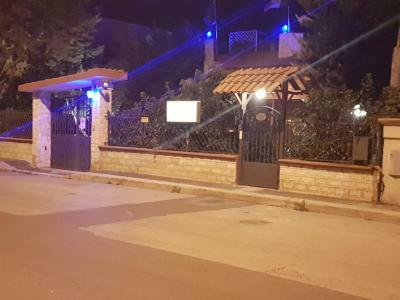 La gentilezza della proprietaria e la tranquillità della zona. One of our best sellers in Taranto! 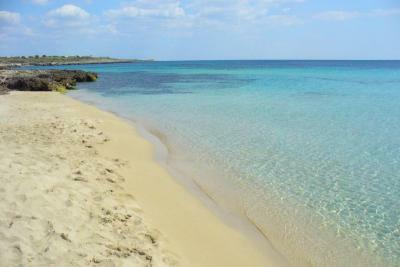 With free Wi-Fi throughout, B&B Taras Di San Vito is located in Taranto, 2,150 feet from the beach. There is a garden, where guests can relax. 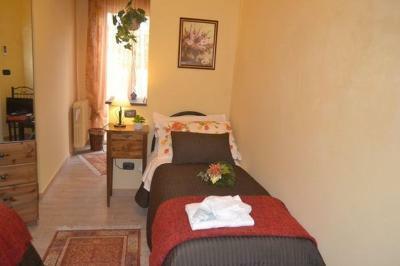 Each air-conditioned room comes with a flat-screen TV, wardrobe and tiled floor. The private bathroom is complete with a shower. 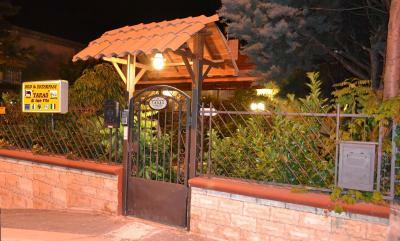 Taras Di San Vito B&B is 150 feet from the bus stop to Taranto center. Grottaglie is a 30-minute drive away. 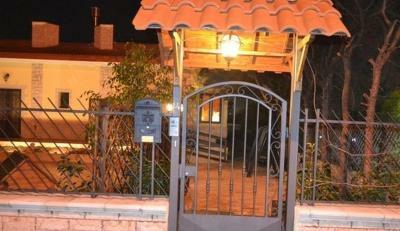 This property also has one of the top-rated locations in Taranto! Guests are happier about it compared to other properties in the area. 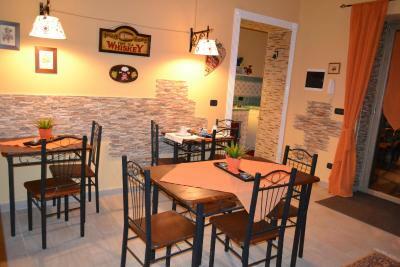 When would you like to stay at B&B Taras Di San Vito? This air-conditioned room comes with a flat-screen TV and free Wi-Fi. The private bathroom is complete with a shower. 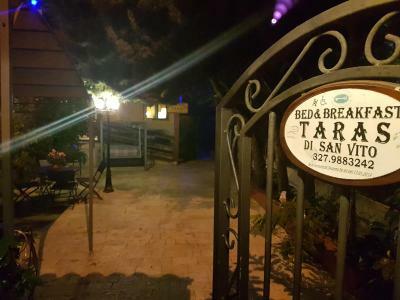 House Rules B&B Taras Di San Vito takes special requests – add in the next step! Booking.com takes your payment on behalf of the property for this reservation. During your stay, you can pay for any extras using American Express, ​Visa, ​Euro/Mastercard, ​Diners Club, ​JCB, ​Maestro, ​Discover and CartaSi . 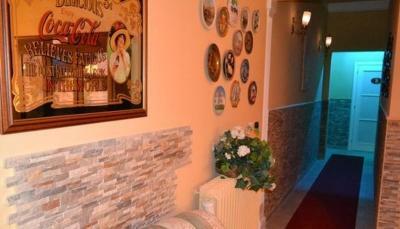 Please inform B&B Taras Di San Vito of your expected arrival time in advance. You can use the Special Requests box when booking, or contact the property directly using the contact details in your confirmation.